We love all foods that are Mexican in our house. Tacos. Fajitas. Enchiladas. All of it. Sometimes it gets a little monotonous eating the same foods though–and that’s why I like to come up with what I refer to as recipe redos. If you are tired of making the go to dishes, like tacos and burritos, you’ll love giving this dish a try. 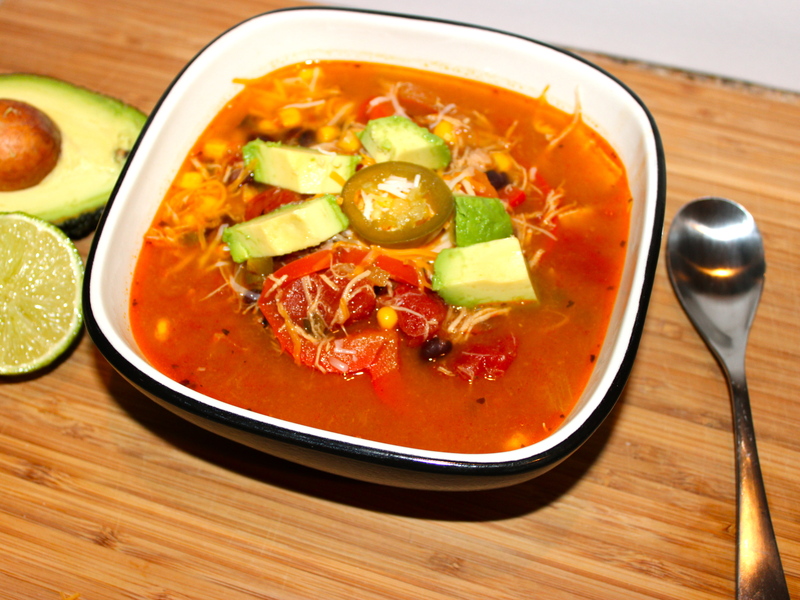 I not only love Mexican food but am obsessed with soup. I literally could eat soup every day and not get tired of it. Matt on the other hand, refuses to eat soup in scorching weather, so it has been awhile since I’ve made any. Now that the weather is cooling down a bit, it was my free pass to make one of our favorites. 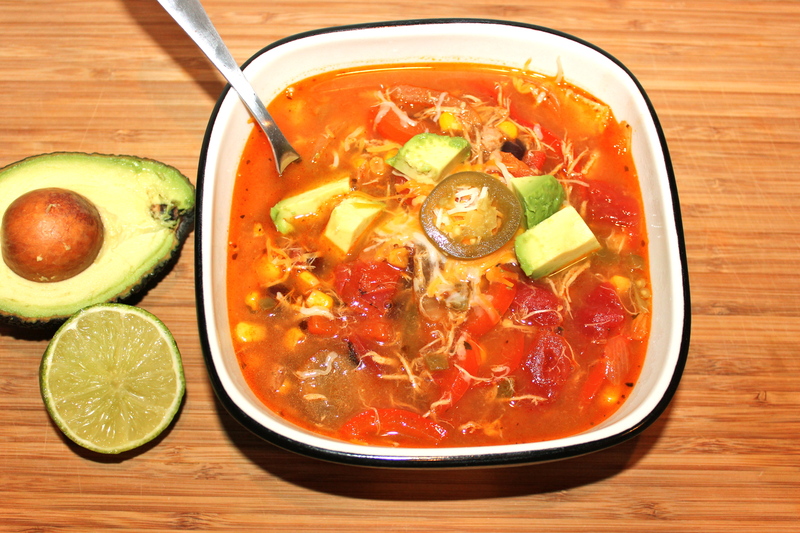 This recipe for Chicken Fajita soup is definitely one of my favorite recipe redos. 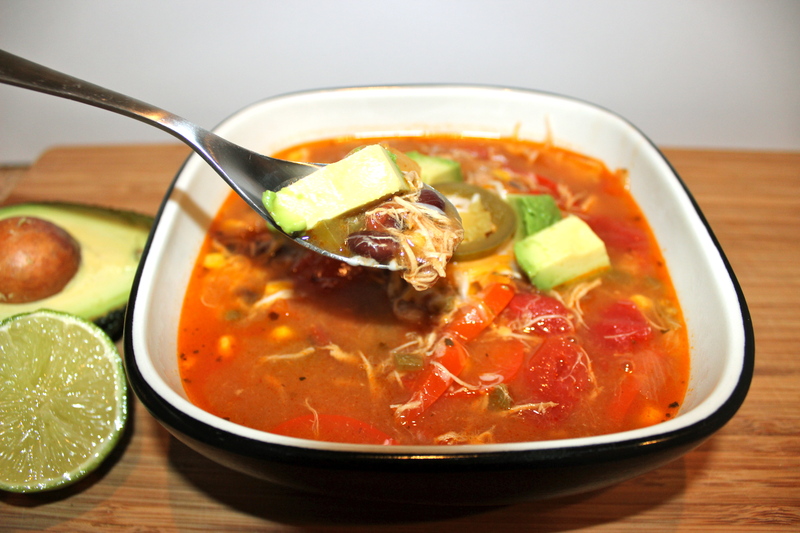 This recipe is also very vegetarian friendly–omit the chicken and add another can of black beans, and you have yourself a high protein meal with a lot of veggies. 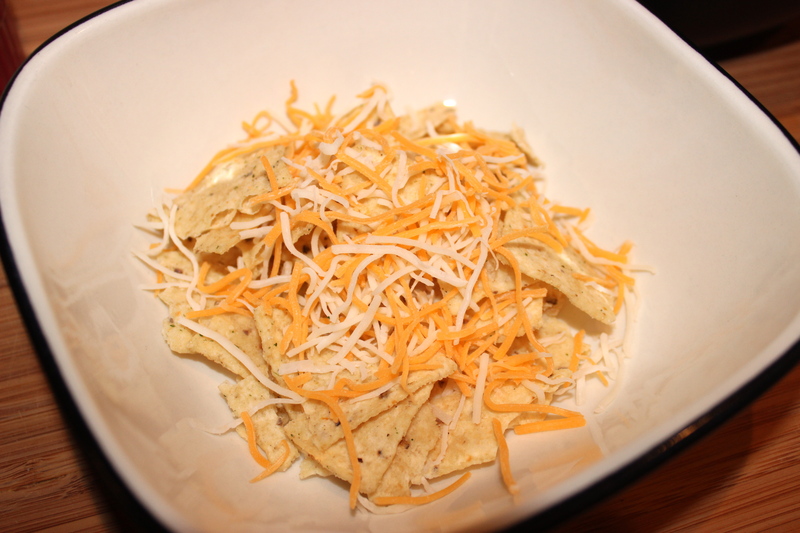 I like to serve my soup over crushed tortilla chips and cheese as opposed to sprinkling them on top. I like that the chips get soft and they actually help to thicken the soup. I hope you enjoy it as much as we do–it’s the best on cold Fall evenings–plus it can definitely feed a crowd and it’s a one pot meal. Bonus. Yum! The pictures have me sold. And that it’s slow cooker friendly. Stopping by from SITS. Always love veggie friendly options. Looks delicious!